Since 2014, Argentina has faced an unemployment crisis, making it difficult for thousands to feed and provide homes for their families. The Greater Miami Jewish Federation is delivering food to the country’s most economically depressed Jews through Mezonot, a program of the American Jewish Joint Distribution Committee, Federation's overseas partner. Serving more than 500 individuals, 20 percent of whom are under 18, the relief program collaborates with local Jewish organizations to provide a broad range of aid, including housing subsidies and essential home repairs. 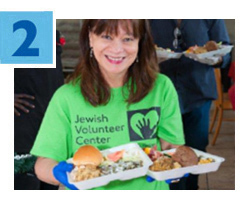 Now it’s easier than ever to match your desire to volunteer with the needs of local organizations, thanks to the all-new website, iVolunteer.JewishMiami.org, of Federation’s Jewish Volunteer Center. Users can search opportunities by date, demographic, cause or agency, allowing individuals, families, groups and even businesses to donate time and energy to help our community. Last year, 2,500 people donated more than 10,000 hours to important local causes. To begin volunteering, click here. 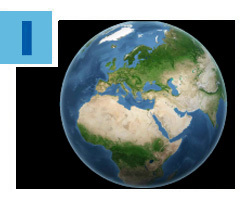 More than 600 members of our Jewish community have already committed to include Federation or a Federation partner organization in their estate plan, representing more than $42 million in heartfelt commitments. The Foundation’s Create a Jewish Legacy initiative is gathering personal stories about generous donors for an online “Book of Life” album launching in the coming months. In words and images, donors and their loved ones can share what motivates them to provide for the future of the Jewish community. For more information, contact Jill Hagler at jhagler@gmjf.org or 786.866.8627. 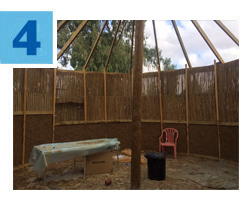 A Gojo is a traditional Ethiopian structure used for community gatherings, and now with the support of Federation, Ethiopian-Israeli residents of Pardes Channa-Karkur, Israel, will have a Gojo of their own. For more than a decade, Federation has supported this community as they adapt to Israeli culture while continuing to preserve their own customs and traditions. The Gojo will serve as a center for multi-generational programming, including social, cultural and educational experiences for the entire Pardes Channa-Karkur community on the grounds of the local Community Garden. More than 30 percent of Jewish households in Miami with people over 75 require in-home healthcare, help with senior transportation, meal delivery services and more. 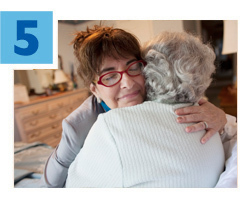 Through the Annual Federation/UJA Campaign, you are helping to feed homebound elders, bring peace to those in senior care facilities or hospice, organize congregate meal sites for lunch and companionship, and enable aging seniors to live in dignity. Some of the Federation partners in these efforts include our own Mishkan Miami, as well as Jewish Community Services of South Florida and Miami Jewish Health Systems. To support these programs and others with a donation, click here.